We do love a good old sing song over the Christmas period. You can hear lots of Christmas Carols being sung on the streets and in churches in the weeks leading up to and the days following Christmas. It is one thing I miss living here in France. I thought I would keep the tradition alive with my girls and enjoy a few carols here, over the pond! One of these carols is "The Twelve Days of Christmas". It's a carol that is often sung in Classrooms in the UK too. It a fun cumulative song that has twelve verses, each describing a gift given by "my true love" on one of the twelve days of Christmas. The twelve days in the song are the twelve days starting with Christmas Day to the day before Epiphany, or the Feast of the Epiphany (January 6, or the Twelfth Day). The eve of the Epiphany, formerly the last day of the Christmas festivities and observed as a time of merry making. It's a great song to revise ordinal numbers and counting backwards from 12 This makes it ideal for a young learners English class! It could be used in the days running up to Christmas or the 12 days that follow Christmas. We have been enjoying a lovely peep-through picture book of the 12 days of Christmas that brings the verses of the song to life (see the link above) There are two little elves who appear on each page and engage in a variety of wintery activities that tie in with the rhyme, for example sharing a glass of milk from the milkmaids and rowing a boat when the swans are introduced. Both my girls (6 and 3) adore it. 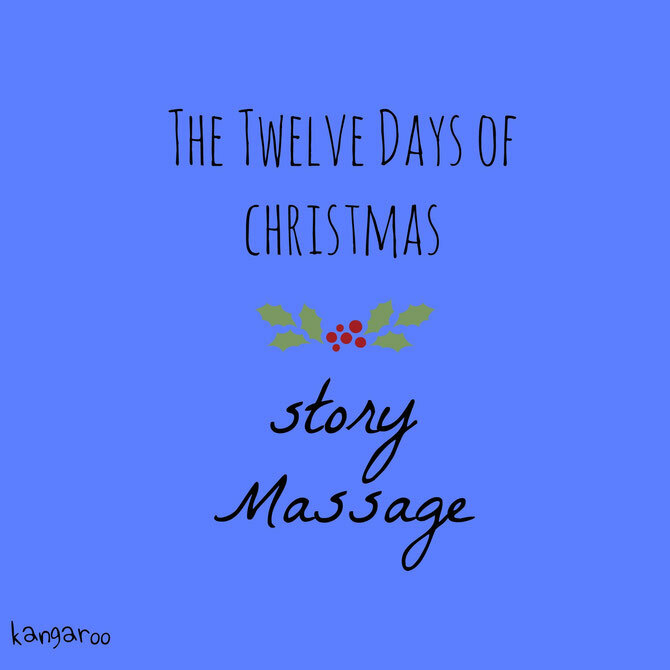 I've written some massage strokes to accompany the song, which makes it a lovely way to relax and connect with your children during the Christmas period. 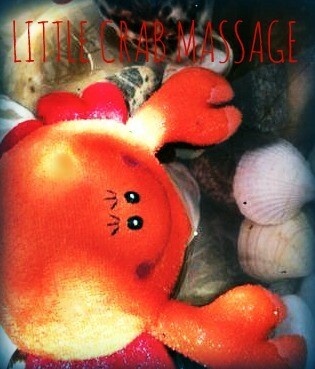 All the strokes come from the wonderful Mary at Story Massage over in the UK. Here is the Children's BBC version of the carol and some beautiful nature photos here too. Pumpkin Soup by Helen Cooper is an absolute favourite picture book in our home. I couldn't resist writing a little story massage to go along with the story. All the strokes can be found on the Story Massage website (see the link below). Au programme: un peu de théorie, un peu de pratique et un peu de jeu. Venez parents avec bébé, mamans enceintes & papa! Encadrée par Polly Childerhouse praticienne Massage bébé AFMB et Eugenia Corne réflexologue et praticienne réflexologue pédiatrique.